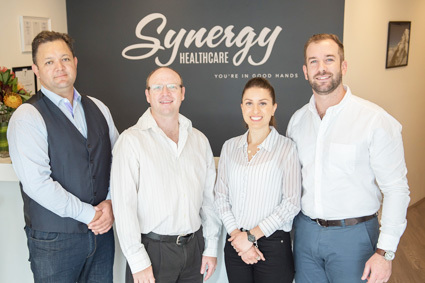 At Synergy Healthcare, you’ll find a broad array of natural solutions to help you resolve pain and injury. You may have recently started feeling signs of discomfort or reduced mobility, or perhaps you’ve been suffering for years. No matter what your concern may be, we’ll evaluate you and can recommend which of our services we think would be the greatest benefit to you. Many patients seek our help having tried other avenues without getting the results they had hoped for. We’ll take all the time necessary to understand your concerns, perform a comprehensive examination and provide a thorough treatment. You’ll receive the one-on-one time and attention that you require. Our chiropractors are focused on resolving musculoskeletal-related complaints such as back and neck pain, headaches, hips and shoulder injuries and more. The aim of chiropractic is to diagnose, treat and optimise your musculoskeletal system, addressing your immediate concerns and minimising your risk of injury in the future. If you’re ready to get started, we welcome the opportunity to assist you. Contact our friendly team today to arrange your first appointment with us!